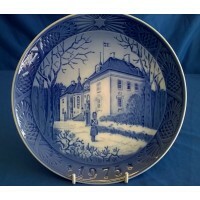 This is the 1975 Royal Copenhagen Christmas Plate, Marselisborg Slot, The Queens Christmas Residence.. 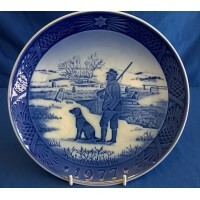 This is the 1977 Royal Copenhagen Christmas Plate, Immervad Bro, Immervad Bridge It is .. 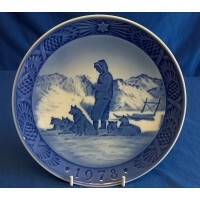 This is the 1978 Royal Copenhagen Christmas Plate, Rast Pa Slaederejsen, Greenland Scenery I..